on Oct 04, 2018 . 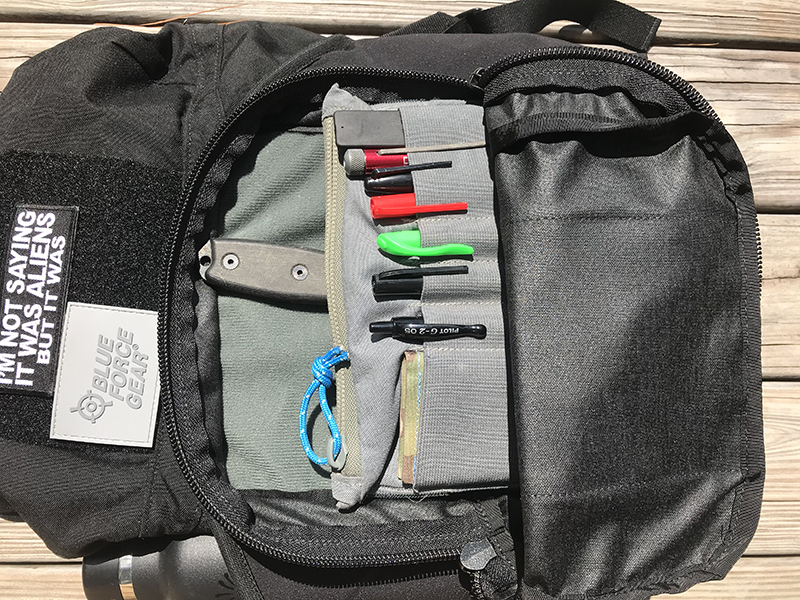 Looking for a new EDC pack? Consider yourself a bag snob (or other nouns not internet friendly)? I've always considered myself a bag connoisseur - looking for the perfect setup since elementary school. Even back then I realized what I carried is usually all I had throughout the day. I remembered the time I convinced my mother that buying one classic Jansport bag (you know - with the big front pocket and suede bottom!) was cheaper than buying two or three cheapies a year. I carried that dark green Jansport with suede bottom for years after that! 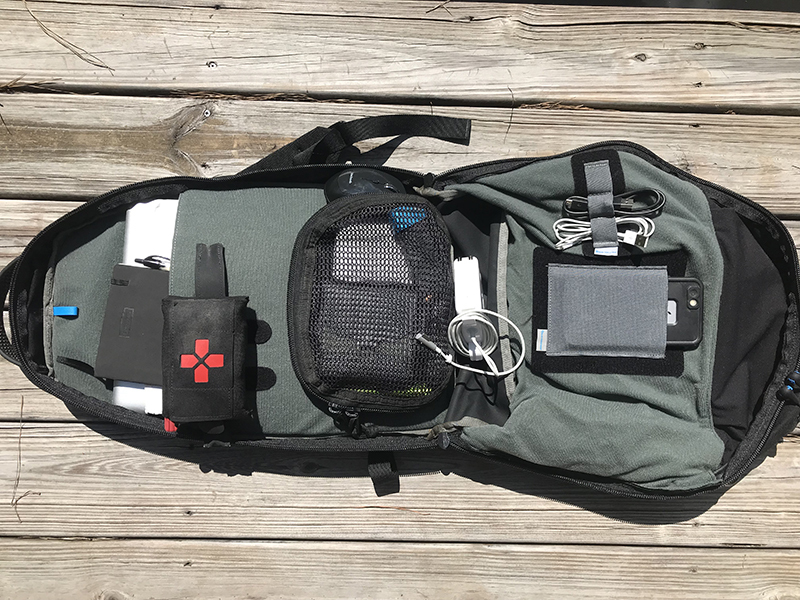 Fast forward 20+ years - I'll show you how I setup the new Tracer Pack for my EDC / Office setup. 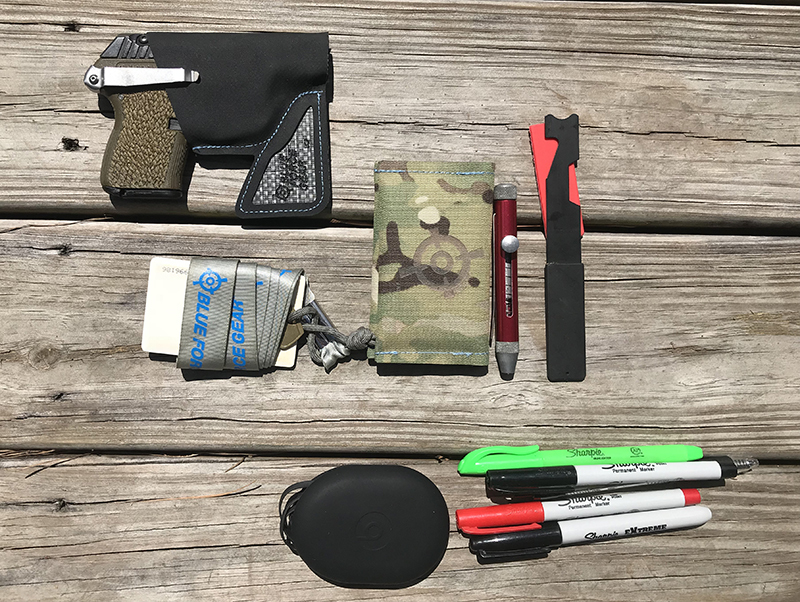 Please understand this is my personal setup - I am constantly updating it as I find better gear or rethink what I carry. 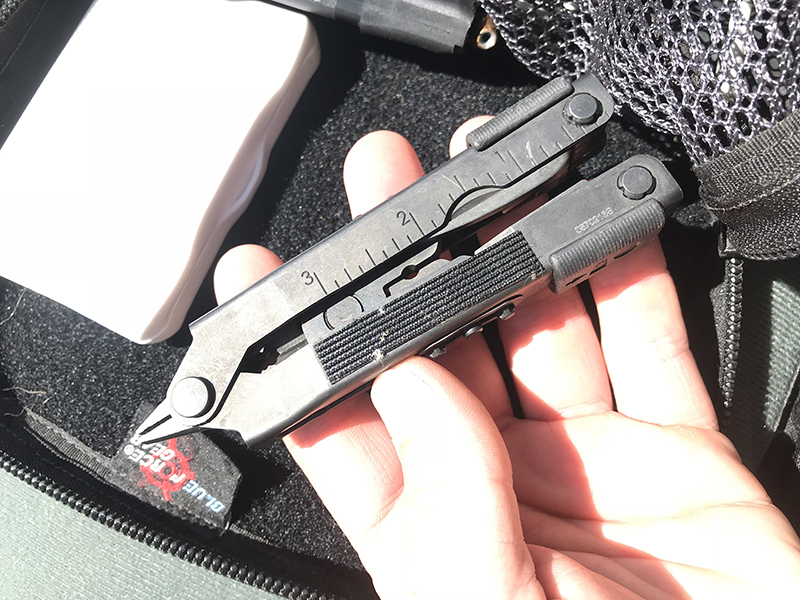 You needs may be different and that is ok. At least consider it a thought exercise for your current EDC gear setup! Right from the start you'll notice some major differences over the Jedburgh Pack - from this side the large water bottle pocket. There is a matching pocket on the other side. Stay hydrated - especially if you're in the hotter parts of our Great Nation. 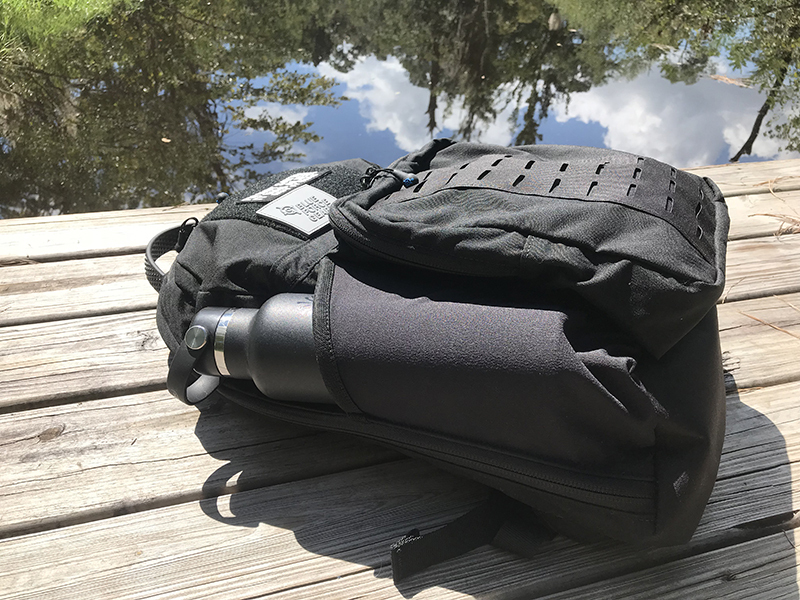 Each pocket will fit 1 liter water bottles and similar sized poly or metal bottles. Seen here is the 18oz. Hydroflask. This one has been keeping ice frozen 24+ hours way before the Yeti tumblers came out. Yes they are expensive but spend the money for the durability and keep the BPA out of your system. Also visible is the Biothane textured grab handle on the top and mini- RED Swivel shaped logo zipper pulls. Nice touches that separate the Tracer from other bags with paracord pulls and 1" webbing handles. 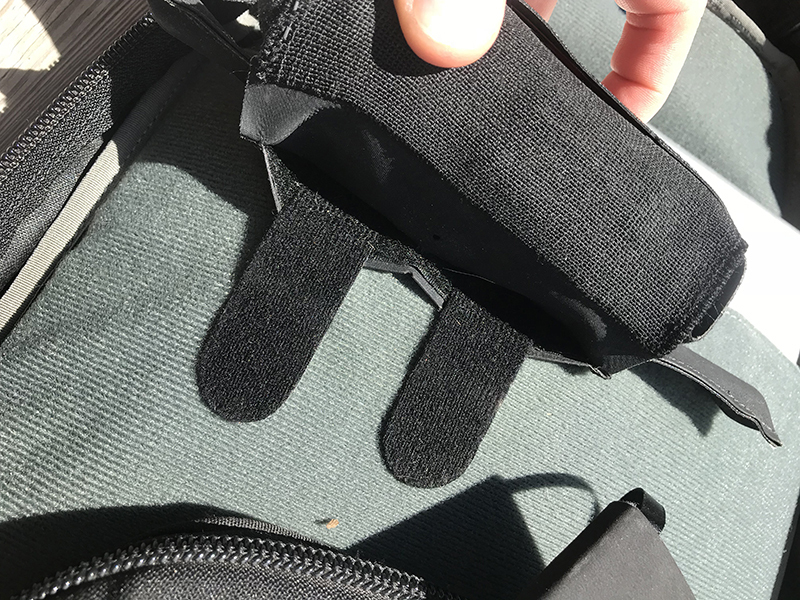 It's easier to grab off the front seat of the car or if you ride a train / subway / tube to hold it a knee level - which helps keep unwanted hands out of your gear and prevents you from having to apologize to other people if you accidently hit them. Here is the main pocket opened up. The first thing you'll see is that the back of the pocket is loop lined making it Dapper compatible. I have the Admin Dapper here - it keeps the smaller things organized and easily accessed. BFG Keycard. Selection is an ongoing process so every day I work to make sure the door keeps opening! Beats Ear Buds. Cheaper and better than the Apple ones. State laws require hands free in the car, but I can hear better on these than holding a phone up. I love these things and spend a lot of time with them for work, listening to books on tape, and at the gym. Also rewatch Taken and the Bourne Identity series. Notice they don't hold the phone if they can help it either. Next up is my iteration of the Dapper system - infinitely customizable modularity. I carry a fixed blade in my bag because. Everyone needs one and when you need it - there are no substitutes. If you don't have one or if you have a bunch - make sure you have an ESEE. This is the ESEE 3 Mil that has the top edge with no serrations. This knife is awesome but don't believe me - look up what others are saying on the forums. 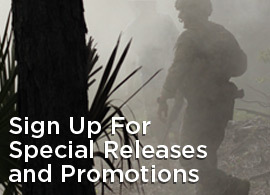 Also like Blue Force Gear - ESEE is made in the USA and carries a lifetime warranty. I took some adhesive backed hook 'velcro' and put it on the back of the molded sheath and now it stays in place. Then put the Admin Dapper over it and there it is - a very secure setup that works for me. When it's time to fly - just slowly pull it off and keep it in the car or at home. Moving up the bag on the outside is an all new 'sunglasses / quick access' zippered pocket. It's a long understood concept that the very top, front of a pack is the least stressed and often empty space in a pack. It's also easily accessible. If I'm flying, I always have my glasses in a hard case. Again don't be the guy that lands in a foreign country and pull your glasses out with the broken frame. It's a terrible feeling. Another concept I hope you have down if you are here - carry cash. You don't have to use it every day but when you need it, just like a fixed blade, there are no substitutes. I grew up in and still live in hurricane country. Life continues even without power - and even if credit or debit stops. Even barring natural disasters or the possible EMP attack - systems go down. Don't be the guy at Chipotle that can't eat because "Sorry sir our system isn't working". Besides, carrying cash is an excuse to get a carbon fiber money clip. Much more affordable than you think and it will impress your friends with the "I know what I'm doing" look! Like the Jedburgh and previous DAP Dapper Packs - the clamshell opening is nice if you need to see everything but new for the Tracer is the integrated laptop / hydration sleeve on the back. As shown is a 15" MacBook Pro (Let's not get it twisted - I had the perfect upgrade done and it now runs Windows 7). There is enough room to keep my notepad with pen too. From there is a Belt Mounted Micro TKN, then the older generation Mesh Dapper. Sorry just can't give this one up! 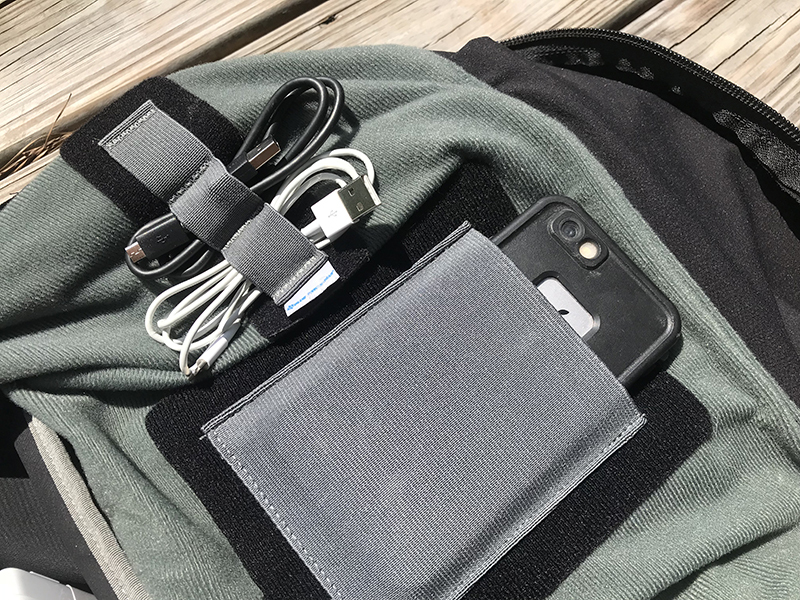 Another example of the versatility of the DAP loop lined packs - you can take a Belt Mounted Pouch and spread the belt tabs out onto the inside of the pack to keep it in place. Another mindset point - just like the knife, entry tools, and cash - carry a medical kit. Even if you don't know how to use everything - someone else might. I have been the first guy on the scene more than once - car wrecks, shootings, jobsite accidents, hurricanes - bad stuff happens all the time. Make an effort to be prepared - especially if you are carrying a gun or knife. 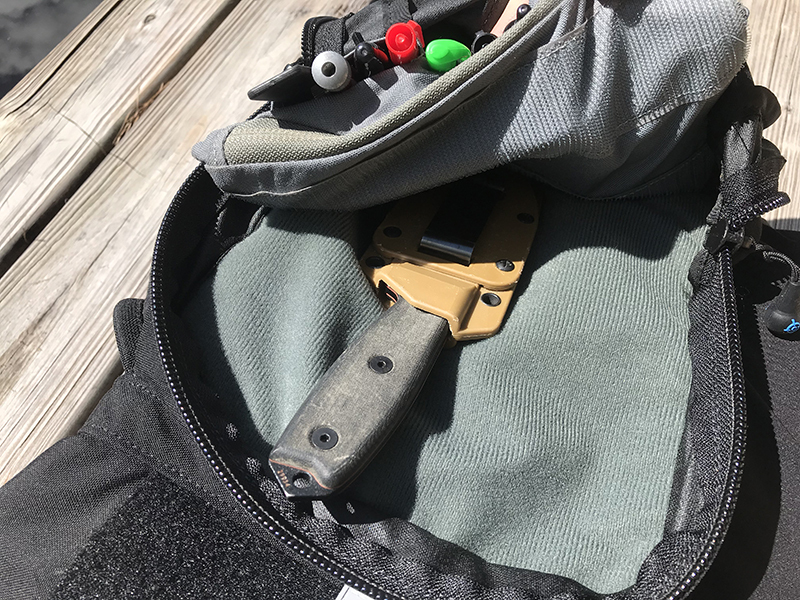 Just like the ESEE sheath - I put some adhesive hook on a Gerber multitool to keep it in place inside the Dapper. It stays in place and keeps a chunk of metal from banging into the spare mag, and other stuff inside the Mesh Dapper. On the front side is a Single SR25 Dapper that holds a cased Iphone 6 perfectly. The Half Medium Loop Dapper works great to hold chargers so they don't end up as a rat's nest. With this setup as shown - I still have plenty of room for other things I need to carry. Sometimes that's extra paperwork or projects that I'm working on, a bagged lunch, or camera gear. Overall I am much happier having my 'base gear' organized and in place. Life is chaotic enough - anywhere I can get bits of order in - I take it! Lastly - like everyone else I need to show off my 'pocket dump'! Car key + house key. All the other keys stay on a separate ring in the car or house. Again if your here - you've already hid your car registration in your car so if you get your car stolen - they don't have your address to also rob your house because the jacker knows you aint' driving home anytime quick! Slim wallet. No need to carry every credit card you have plus your library, NRA, insurance, HAM license, gym card, and the plethora of 'reward perks' cards. 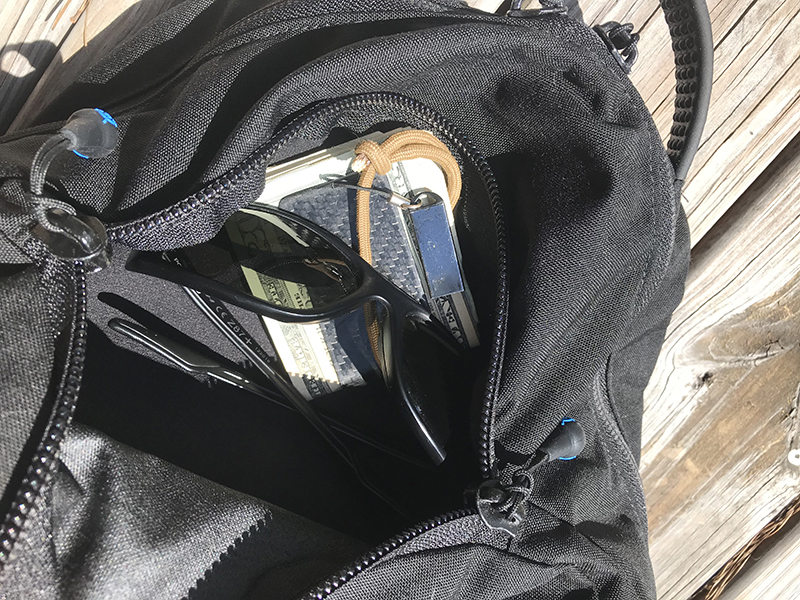 They are not impressing anyone and you don't want to replace all those at once if your wallet is lost or stolen. Keep those in your bag or at home. You can search studies of what sitting on brick sized wallets do to your back and posture. 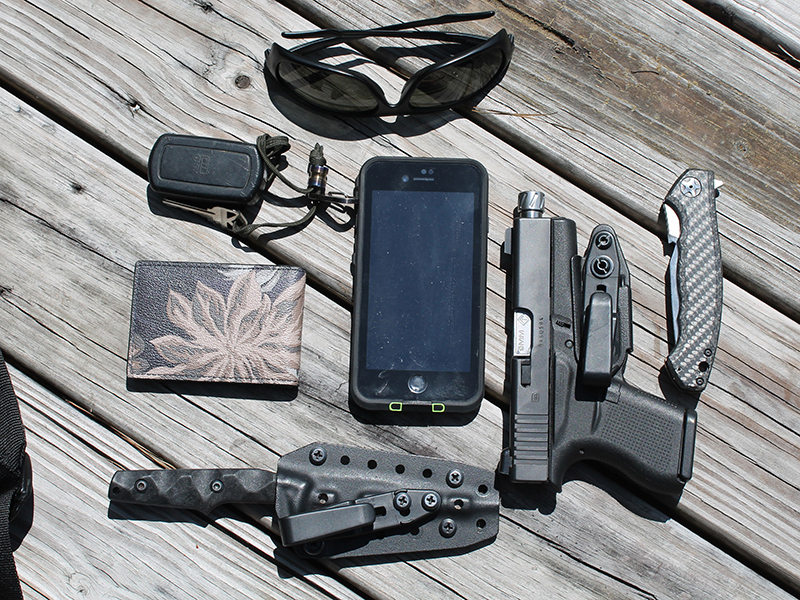 Glock 43 with Raven Concealment Vanguard holster. This holster changed my life and I'm not even overstating that. No extra bulk, super secure and easy to put on and off. I used to be lazy thinking "Im only going to work / Walmart / parents / etc - I don't need a gun". This combo makes to easy to clip in and done. Bawidamann Huginn. Another awesome knife that stays sheathed. The ESEE cuts boxes and food. Not this one. Also sports the same Raven holster clip. They got that right.